Don’t look now but there are new tastes to try at the wide array of popular food stops at SM Center Pulilan .Have a taste of classic and new recipes combined that is now making waves at the heart of northern Bulacan. Trending now are some of SM Center Pulilan’s newest offer coming from Dunkin Donuts, Burger King, Snow Panda, King Sisig, Bulalo World and Classic Savory. Have a sneak and take your pick at some of these stores’ must-try offers now available for your own craving. First stop is Dunkin Donut’s latest buzzing treat- the DD Bars!  The authentic source of sweet goodness in the Philippines has really raised the bar this time with their five must try flavors—Tiramisu, Eclair, Split Royale, Lady Finger, and Matcha. 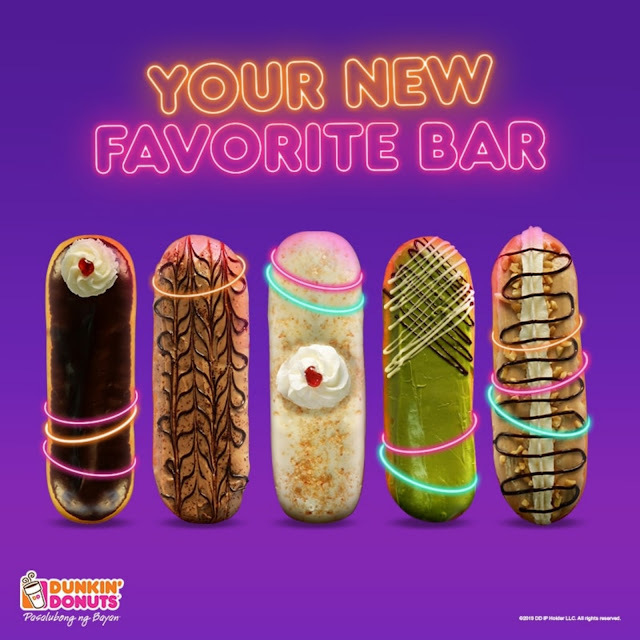 Among the five oblong-shaped bars comes three flavors with Bavarian filling on the inside— The Éclair DD Bar frosted with dark chocolate, topped with buttercream rosette and strawberry accent. Tiramisu DD Bar covered in tiramisu-flavored chocolate, sprinkled with nuts, drizzled with dark chocolate. At last, is the most anticipated Matcha DD Bar covered with sweet Matcha chocolate with streaks of dark and white chocolate on top. Second on the row is Burger King, the real highness when it comes to awesome burger goodness. 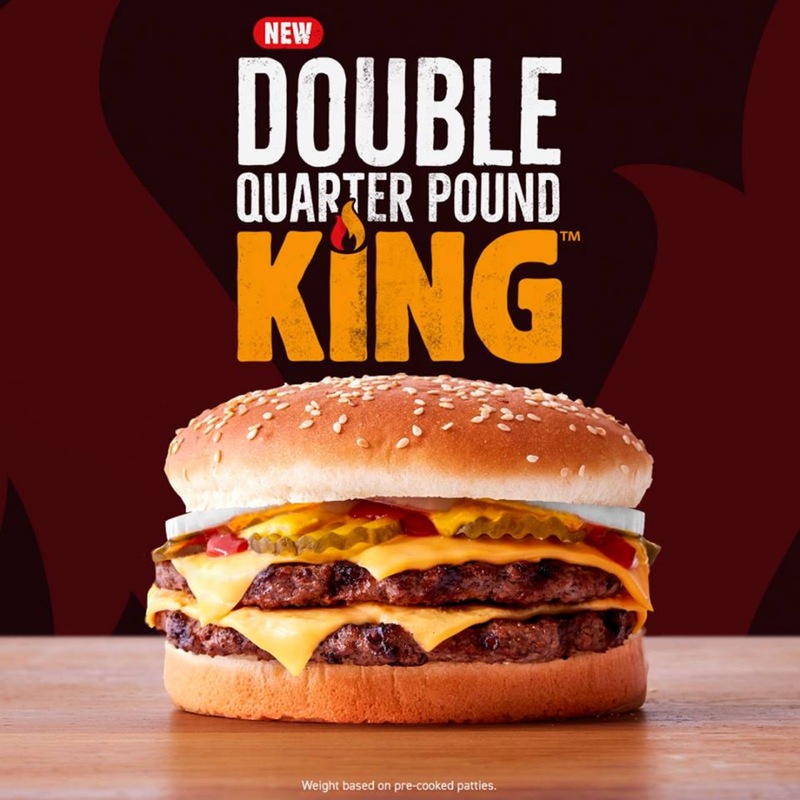 Not losing their wit when it comes to perfecting their recipes, Burger King introduces Double Quarter Pound King made with 100% flame grilled beef, topped with all-time favorite ingredients: American cheese, freshly sliced onions, zesty pickles, ketchup, & mustard all on a toasted sesame seed bun. 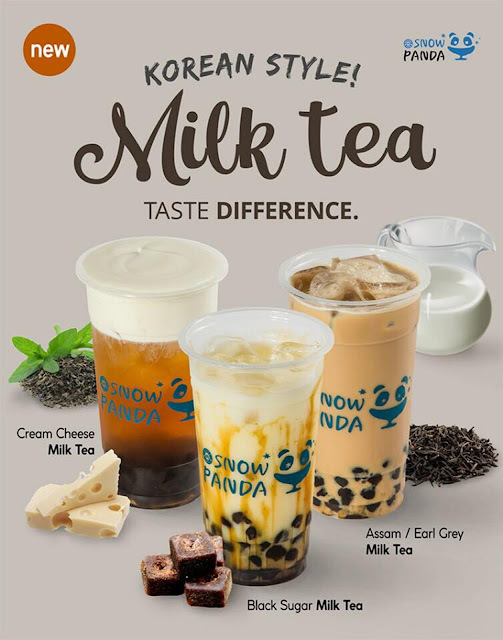 The national dessert Snow Panda is here and definitely makes a worthy comeback with their own version of Korean Style Milk Tea available in three iconic flavors- Cream Cheese Milk Tea, Black Sugar Tiger Milk Tea and Assam/Earl Grey Milk Tea. True to its claim, King Sisig is the real highness when it comes to Sisig philosophy. From its origin in Pateros, Metro Manila, King Sisig is the only restaurant with a unique offering of wide sisig variety. From its signature sizzling pork sisig, to other steamy sisig flavors such as chicken, bangus, beef tapa, lechon, seafood, pork BBQ, crispy liempo, and the 7in1 Porky Pork Royal feast. The sisig experiment is unlimited as they introduce Sisig pancit and veggie sisig lumpia. Now, sisig lovers behold as they introduce the newest addition to their original recipes, no less than BOOM PARES Sizzling Beef Pares. 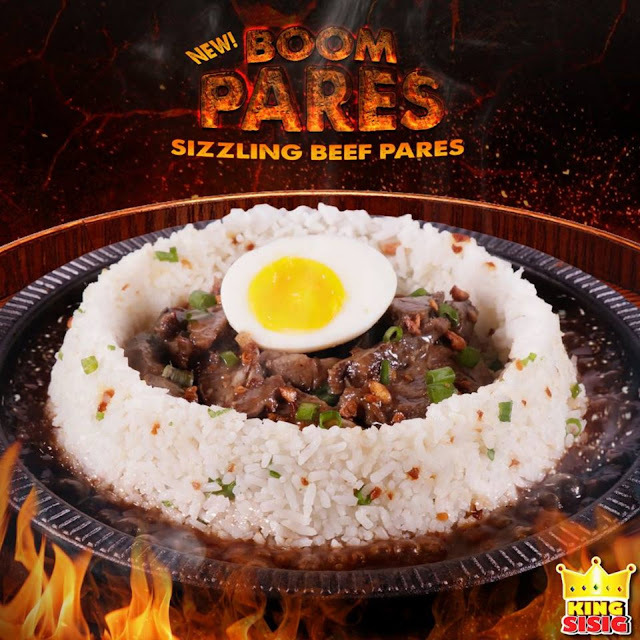 The uniquely tender beef sizzles in full flavors served with the perfect spices and paired with rice, or even UNLI rice for the hungry bunch. Go get yourself recharged from a long day’s work or better yet treat your family to a healthy meal, with a taste of classic home recipe— Sinigang na Hipon. 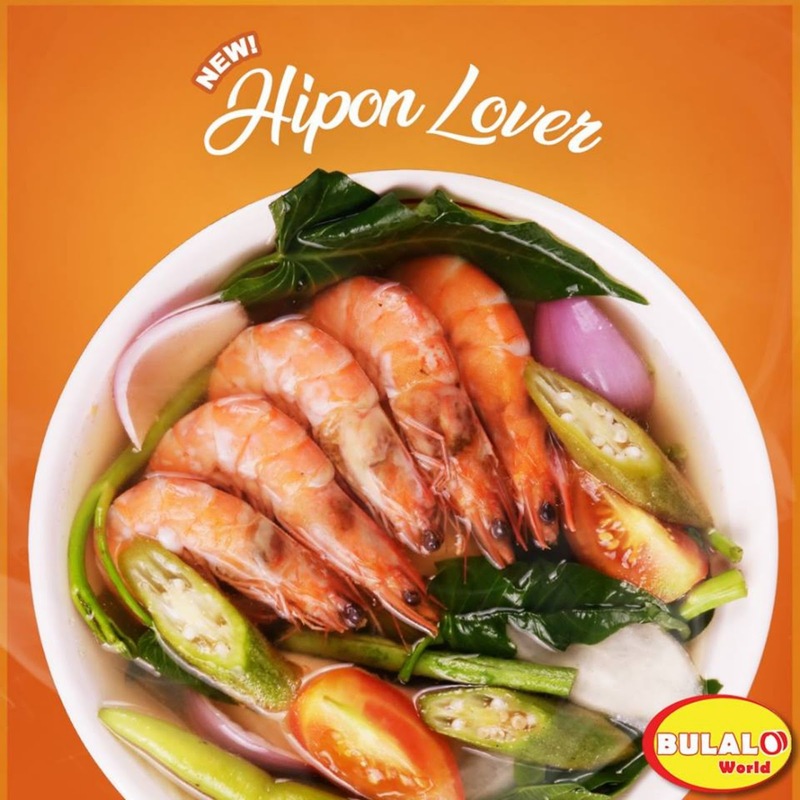 The popular Filipino dish is now ready to serve at Bulalo World SM Center Pulilan. Savor the perfect taste of tender shrimps with a kick of sour tamarind flavor blended with fresh vegetables. You may also check out the store’s signature dish Hot Bulalo for an ultimate “taste of home” experience. 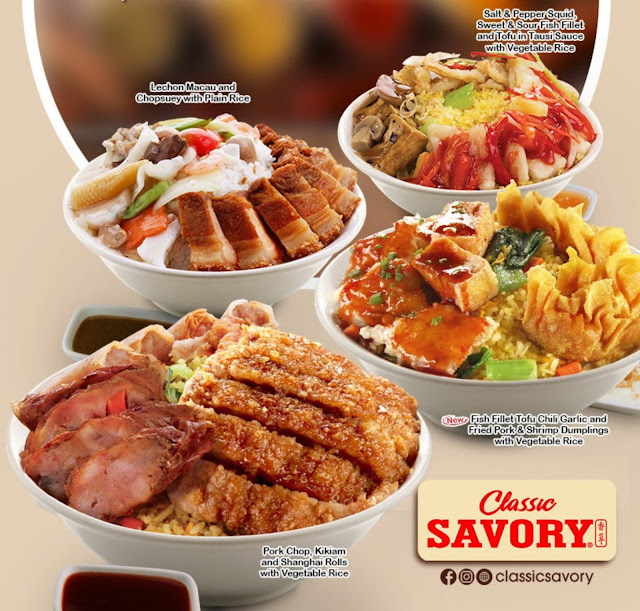 It is an explosion of flavors as Classic Savory; the home of the Savory Fried Chicken and other Filipino and Chinese dishes finally brings to the table the oriental flavors all in one bowl. Tagged as Incredi-Bowls, the fusion of taste comes in four flavors— the new Fish Fillet Tofu Chili Garlic and Fried Pork & Shrimp Dumplings with Vegetable Rice, Lechon Macau and Chopsuey and Plain Rice, Salt & Pepper Squid, Sweet & Sour Fish Fillet and Tofu in Tausi Sauce with Vegetable Rice and Porchop, Kikiam and Shanghai Rolls with Vegetable Rice. Also, feast on their newest plates of mouthwatering dishes such as Sweet and Sour Shrimp, Beef in Mushroom Gravy, Shrimp and Vegetables Stir Fry with Broccoli and Spicy Pepper Beef Steak. At SM Center Pulilan, the search for great food spots continues to get more exciting with the arrival of new concepts and satisfying dining selections their stores has to offer. Stay tune as the coming months will unveil more amazing stores to hit SM Center Pulilan. For more updates, follow SM Center Pulilan at Facebook and Instagram.